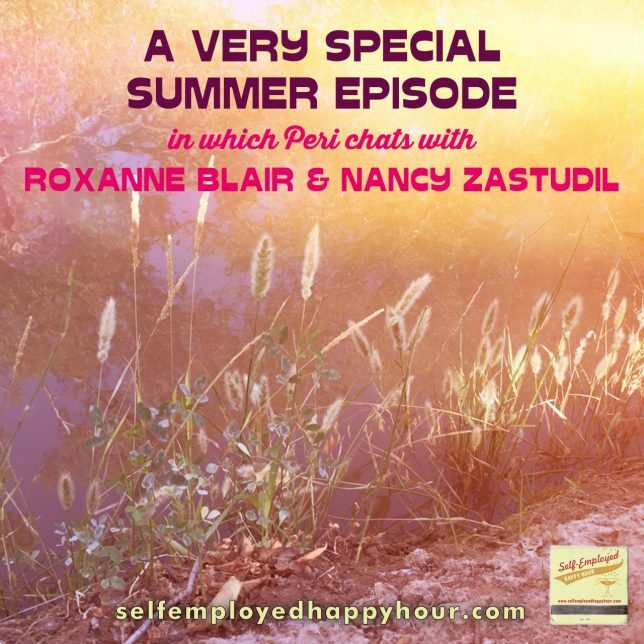 I returns to the dining room podcasting studio with more tales from the self-employed front, including interviews with social media strategist Roxanne Blair, and gallery owner Nancy Zastudil. Listen below, or/and go subscribe to Self-Employed Happy Hour at iTunes! Thanks for listening and stay tuned for more episodes!